Daytona Beach Car Accident Lawyers and Attorneys | Graham Law Group, LLC. According to the Centers for Disease Control, thousands of people in Florida are killed and injured in car accidents each year. Car accident deaths cost Florida residents an estimated $40 million in medical costs, and an estimated $3.12 billion in lost wages due to missed time at work and lost productivity. Car accidents are devastating events. They can leave victims facing serious injuries, serious disability, and can impact a person’s ability to work, play, and enjoy life. The Graham Law Group, LLC are car accident attorneys in Daytona Beach, Florida who work closely with those who have been hurt in car accidents. Our firm can review the circumstances of your accident, estimate the value of your claim, speak to insurance adjusters, and fight to hold negligent parties accountable. There are many types of car accidents in Daytona Beach, Florida, but regardless of the type, the vast majority of car accidents are the result of driver errors. These accidents can leave passengers and pedestrians seriously injured. What are the main types of car accidents in Daytona Beach, Florida? Lane Departure Accidents. When drivers leave their lane, they run the risk of colliding with other vehicles or colliding with oncoming vehicles in another lane. Lane departure crashes can occur due to a variety of reasons. These accidents can occur if a driver is fatigued, drunk, or if a driver is texting and driving or distracted. Rear-End Collisions. Rear-end collisions can occur if a driver in front of another car stops too suddenly or without warning, or if the driver in the rear was distracted, drunk, or fatigued. Rear-end collisions can lead to whiplash injuries and other serious injuries. Pedestrian and cyclist injuries. Pedestrians and bike riders are among the most vulnerable road users. Drivers have a responsibility to avoid collisions with pedestrians and bikers, but sometimes drivers are distracted, drunk, or fatigued, or they simply fail to give bikers the space that they need. When bikers or pedestrians are struck by drivers, the person most likely to suffer an injury is the vulnerable road user. If you or a loved one has been hurt in this type of collision, consider speaking to the Graham Law Group, LLC, Daytona Beach, Florida car accident attorneys. In the aftermath of a car accident, the recovery you may receive will depend on the role of negligence of each party. 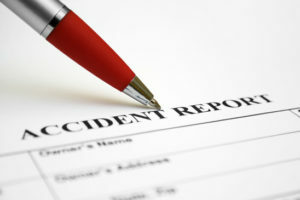 Determining negligence can sometimes be complex. If you have been hurt in a car accident, a qualified car accident attorney at the Graham Law Group, LLC in Daytona Beach, Florida may be able to help you. Speak to our attorneys today. Traumatic Brain Injury. The symptoms of traumatic brain injury include memory difficulties, changes in mood, changes in sleep patterns, and other challenges. Sometimes the symptoms of traumatic brain injury can take days or weeks before they appear. If you have been in a car crash and notice memory changes, mood changes, or changes in your sleep patterns, you might be suffering from a traumatic brain injury. The Graham Law Group, LLC are car accident attorneys in Daytona Beach, Florida who may be able to help you seek damages for your losses. Spinal Cord Injury. Spinal cord injury can lead to paralysis and the effects can be permanent. Victims may require a lifetime of nursing care or additional accommodations. This injury, along with traumatic brain injury, is among the most serious kind of injury a person can suffer after a car crash. If you or a loved one suffered a spinal cord injury after a car wreck, speak to the qualified car accident lawyers at the Graham Law Group, LLC today in Daytona Beach, Florida. Broken Bones and Internal Injuries. Broken bones, internal injuries, and other serious injuries can impact a person’s quality of life after a crash. Some of these injuries may leave victims suffering from extreme pain and, in some cases, victims may require surgery. The Graham Law Group, LLC are car accident lawyers in Daytona Beach, Florida who may be able to help you seek the damages you may deserve under the law. Post-Traumatic Stress Disorder. 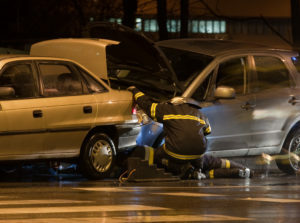 Car accidents can leave victims suffering from psychological injuries as well as physical ones. If you have been having flashbacks, have had trouble sleeping, or are struggling to get back behind the wheel after a crash, you may be suffering from PTSD, and may require treatment. The car accident lawyers at the Graham Law Group, LLC in Daytona Beach, Florida may be able to help you seek the damages you may be entitled to receive to get the quality care you deserve. These are just some of the injuries victims can sustain after a car accident. If you or a loved one has been hurt in a crash in Daytona Beach, reach out to the Graham Law Group, LLC today. We may be able to help you seek damages to cover your medical expenses, lost wages, rehabilitation costs, and pain and suffering damages. Who is the Best Car Accident Attorney in Daytona Beach, Florida? The best car accident lawyer in Daytona Beach, Florida is the attorney who will take the time to understand your unique challenges and needs. Every case is unique and you’ll want a law firm able to provide you with the personalized care and attention you need. The Graham Law Group, LLC are Daytona Beach, Florida car accident attorneys who work closely with victims and families to help them seek the recovery they may deserve under the law. Visit us today to learn more about your rights and options.